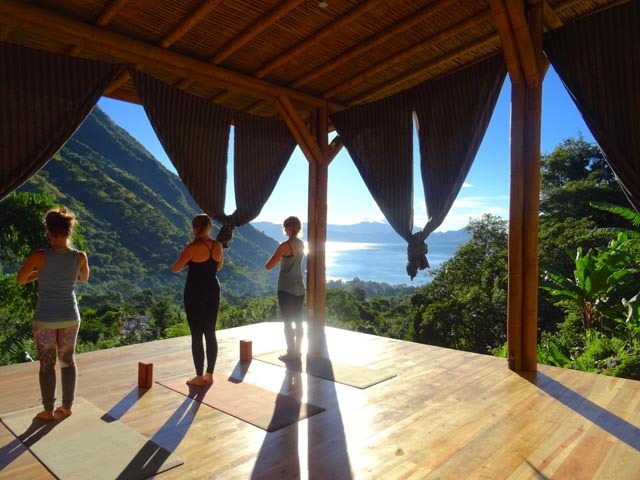 Atitlan Organics and the Bambu Guest House specialize in hosting groups that are inspired to learn and practice creative, regenerative living. The Bambu Guest House really feels like a home, where small groups can settle in to learn about each other and all the amazing things happening nearby. Our friendly staff will help you feel comfortable and catered to, so that you and your group are free to focus on what matters to you, whether that be yoga, dance, permaculture, holistic nutrition, or anything else! We're here to help bring your dream to life and spread inspiration. We can set up all in-contry travel, as well as tours of the lake and the region (hikes, kayak, fishing trips), Mayan ceremonies, Spanish lessons, a farm tour, and permaculture immersion. We're here to help you have the experience of a lifetime, and with our knowledge of the area we can help to create a custom itinerary for your group. For an additional fee we can market your event and handle registrations, if desired. Our shared rooms offer a comfortable and luxurious place to greet the sun or unwind at the end of the day. Balconies in each room are equipped with hammocks to take in the sunrise or catch a volcano erupting, if you're lucky! Each room has a private bathrom, with hot showers, heated with a passive solar system with gas back-up. Wifi is available in all rooms. Soothing river sounds drift up into the room to lull you to sleep. Our talented kitchen staff prepares meals inspired by fresh seasonal produce, always featuring food from Atitlan Organics and other local growers. Our kitchen is dedicated to serving groups and able to meet a wide range of dietary needs, including vegetarian, vegan, lactose and gluten intolerance. We also offer unlimited organic coffee and herbal tea straight from the farm. Our top priority is that your group's participants have all their needs met, are comfortable, well-fed, and happy! Our newly built yoga platform is an amazing space for groups to mingle or just to grab some hammock time. With stunning views of the lake, this space can be used for sunrise yoga practices, as well as for group workshops and meetings. Just up the road from the Bambu Guest House is the Atitlan Organics farm, a small-scale, diverse permaculture farm doing amazing things! We'd be happy to include a farm tour or even work with you to include a permaculture immersion as a part of your group's offering! 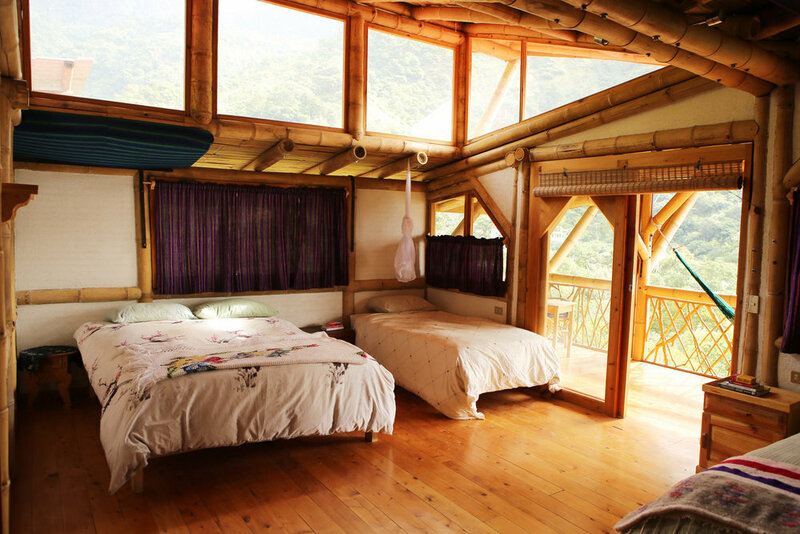 We also ask for a non-refundable $300 deposit (per week) to reserve the dates in the Bambu Guest House. While this is non-refundable, if your retreat does not work out as planned, but happens at a later available date, we can roll this deposit over to a different course date.